Our defense needs to get back to being good. He was trying to figure out "What does the Fox say?" Rain at kickoff, wind at 18 mph. It’s even worse than that. Our top 3 WRs are out. Starting FS and backup FS. It’s comical at this point. At full strength I think it would have been competitive with the edge to the Bears. But now, this game will be over by the half. Remember we played down to AZ's level when it should have been a blowout and should have beat the hell out MIA. Fangio rushing 3 will give your receivers more time to get open. I hope I'm wrong but we will see. This is definitely a must win game. Especially considering we have 3 consecutive division games coming up in two weeks after the Bills. 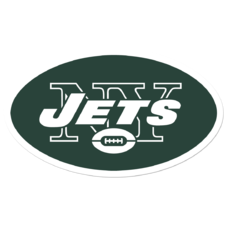 I think beating the Jets & Bills is very important to show we are in tier 2 as a team rather than 3 or 4. Absolutely. Those are two very winnable games and could be crucial down the stretch. The last 8 games are all NFC opponents so we have to capitalize on what seemed to be two "easy wins" to a stay afloat. Heck I don't even care if we don't win the division (that wasn't expected anyhow) but I would like to see us atleast remain competitive and put up a fight. I agree with this as winning these two games are a bare minimum that the Bears have to do to stay relevant. If they can't beat the Jets and the Bills then the season is over and there will be no playoffs. All the Bears have to do to win 10 games is just beat the Jets,Bills, Giants, 49ers and win all their home divisional games. 10 wins would be close to winning the division this year but maybe they should let Mack heal and get ready for the rest of the year. Fangio better rush at least 4 against the Jets but if the Bears play coverage they better start tackling on short routes. Which they haven't been doing this year at all. Bears are wearing their throwback jerseys tomorrow. RT @AdamSchefter: Bears’ WR Allen Robinson, listed as questionable for Sunday’s game against the Jets due to a groin injury, is not expected to play, per source. RT @AdamSchefter: Bears’ LB Khalil Mack, listed as questionable for Sunday’s game against the Jets due to a sprained ankle, will work out pregame to determine whether he can, per source. Even if he can play, he might just be limited. See, I don't know about that given the current situation. I get your point, but these next two games are huge for us so it's really a tough call. The staff already messed up and painted themselves into a corner by playing him at all last week instead of letting him heal up. I can understand letting him ride out the MIA game because of our momentum and you don't mess with success. But the NE game, they should've benched him. Even if after only a few plays. But that's all water under the bridge. Now that we're 3-3 with 2 must win games in a row, they're put into a peculiar situation with a very hard decision to make. Do you sit your star player and count on the supporting cast(Hicks, Floyd, Tre) to put pick up the slack and risk being potentially eliminated from playoff contention? Or do you bank a 50% Mack to atleast try an make a game-changing play while also risking further injury? I'm just glad that it's not me who has to make that decision.